Draft: 1995, San Francisco Giants, 6th rd. In 1st season with the Rangers, returned to fulltime closer's role for the 1st time since 2009...finished 5th in the A.L. in saves (37) and 4th in games finished (62)...had just 3 blown saves for a 92.5% success rate that ranked 3rd best in the A.L....that included a streak of 31 consecutive converted saves, April 15-Sept. 12, also a team mark...was Texas' leader in appearances (66), saves, and games finished...had a career-low 13 walks while his 3 victories were the most since 2007 (4)...his 5 losses were a career high.SUMMARY: Issued 4 earned runs in 4.0 innings in his 1st 4 appearances, then posted a 0.36 ERA (1 ER/25.0 IP) over his next 26 appearances, lowering his ERA to 1.52 through June 22...did not allow a run in final 16 games (16.0 IP) of that span beginning May 15...had a 5.79 ERA (9 ER/14.0 IP) over his next 13 games for a 2.91 ERA through August 2...ERA over next 15 contests was 0.64 (1 ER/14.0 IP) and was at 2.35 on August 2...permitted 4 hits and 3 runs, including 2 HR without retiring a batter with blown save and loss on Sept. 13 vs. CLE...was just the 4th game in his ML career where he did not retire a batter, the 1st since August 30, 2008 at OAK...on Sept. 13, was pitching for a 3rd straight day and 7th time in 11 days...allowed 2 runs in 7.0 innings in his final 7 appearances.BY THE NUMBERS: Issued a run in 13 of 66 games, allowed season high 3 runs on 3 occasions...did not permit any of 3 inherited runners to score with 1st batters hitting .188 (12-64) with 2 walks...opponents' batting average of .231 was his highest since 2000 with SF (.255)...was 3-4, 4.17 (17 ER/36.2 IP) in 38 games at Rangers Ballpark, converting 18 of 21 save tries...had a 0.98 ERA (3 ER/27.2 IP) in 28 road contests with saves in all 19 attempts...road ERA was 4th-lowest in A.L. among pitchers with at least 25.0 IP...has converted 24 straight road save opportunities since last away blown save on July 9, 2011 at Chicago-AL...posted a 0.57 ERA (1 ER/15.2 IP) in 16 outings versus the A.L. East, going 9-for-9 in save tries...opponents were 3-for-26 (.115) with runners in scoring position and 2 outs.STRIKEOUTS: Fanned 78 in 64.1 innings, an average of 10.91 K's/9.0 IP that ranked as 13th-best among A.L. relievers (min. 45.0 IP), the top figure on the club...had a strikeout-to-walk ratio of 6.00, 3rd among league relief pitchers...recorded at least one strikeout in 53 of 66 games with a high of 3 K's on 3 occasions...has 839 strikeouts in 794.0 innings for an average of 9.51 K's per 9.0 innings, 10th best in major league history among pitchers with at least 750.0 IP.MISCELLANEOUS: Was 1-3, 3.66 (8 ER/19.2 IP) with 11 saves on no rest and 2-1, 2.42 (12 ER/44.2 IP) with 26 saves with one or more days off...worked on 4 straight days, May 15-19, his longest such span since 4 days in a row, Sept. 13-16, 2009...pitched in 6 of the Rangers' 10 shutouts...pitched 2.0 innings on July 7 vs. Minnesota, his longest outing since 2.0 innings on August 21, 2009 at KC.AS A TWIN: Was 24-13, 2.16 (111 ER/463.1 IP) with 260 saves in 460 career appearances with Minnesota from 2004-11...is the Twins' all-time leader in saves, ERA, strikeouts per 9.0 innings (10.90), and opponents' batting average (.186) among pitchers with at least 400.0 innings, ranks 2nd in games finished (394), and is 4th in appearances...also has the lowest WHIP figure (0.96)...surpassed Rick Aguilera as the Twins' alltime saves leader with his 255th save in a Minnesota uniform, Aug. 10, 2011 vs. Boston. Opened the year as the Twins closer after missing all ofthe previous season after right elbow surgery...ranked 2nd on thestaff in saves (14) and placed 5th in appearances (48)...alloweda run in 16 appearances and permitted 4 of 9 inherited runners toscore...had 8 holds and finished 33 games...opponents hit .222(38-171)...had a 3.04 ERA (9 ER/26.2 IP) at home and a 7.50 (15ER/18.0 IP) figure on the road...posted a 1.50 ERA (1 ER/6.0 IP)in 6 games vs. the A.L. West...outing on April 3 at Toronto was 1stin regular season since Oct. 6, 2009 vs. Detroit...posted a 2.25ERA (1 ER/4.0 IP) and 3 saves in his 1st 4 outings but issued 9 runs in 5.0 innings in his next 6 games as Matt Capps became thecloser...was placed on the 15-day DL on May 28 with a flexor muscle strain in his right elbow...made 3 rehab appearances atRochester (AAA) before being activated on June 24...posted a3.38 ERA (11 ER/29.1 IP) with a .193 opponents batting averagein his final 31 games with a 0.68 ERA (1 ER/13.1 IP) over 14 outings from June 28-August 4...had 9 straight scoreless appearances (8.1 IP), June 28-July 17...went 16 straight games (14.2IP) without permitting a walk, May 21-July 31. Placed on the disabled list, March 31 with a tear in the ulnar collateral ligament in hisright elbow...had season-ending "Tommy John" surgery on March 26 performed by Dr. DavidAltchek...did not pitch for the Twins in 2010. Recorded his first save of the season in his first appearance, April 8 vs. Seattle (1.0 ip)...suffered first blown save, April 28 vs. Tampa Bay (win)...did not allow a run in seven consecutive appearances from May 1-14...did not allow a run in 24 consecutive appearances (22.2 ip, three hits, 21 strikeouts) from May 21-July 21 and saved 20 consecutive games during that span (Twins 23-1)...recorded a four-out save (1.1 ip), June 2 vs. Cleveland...named the DHL Delivery Man of the Month for June after not allowing a run in 11.1 innings, striking out 18, holding opponents to a .105 batting average andgoing 11-for-11 in save opportunities in 12 appearances...finished the first-half with a record of 1-1, 1.31 (34.1 ip, 5 er) with 23 saves in 25 opportunities, an opponent batting average of .153 and 43 strikeouts...selected to his fourth career All-Star team, pitching 1.0 scoreless inning...second win of the season, August 21 at Kansas City, allowing one run on four hits in 2.0 innings, throwing 53 pitches,most since August 20, 2000 vs. Atlanta (with the Giants)...recorded his 45th save, September 29 (Game one), tying Eddie Guardado (2002) for firston the club's All-Time single-season saves list...set a new club record, October 2 vs. Kansas City, recording his 46th save of the season...pitched 1.2 scoreless innings in the tiebreaking 163rd game, October 6 vs. Detroit...converted each of his last 12 save opportunities...Twins went 61-9 in games he appeared in...struck out 11.7 batters-per-nine innings (third in the AL with a minimum of 50.0 ip)...struck out two-or-more batters in 30 of his 70 appearances...finished second in the Major Leagues in saves (Brian Fuentes - 48)...had second-lowest batting-average-against in the American League for a closer (.171)...named co-winner of the American League Rolaids Relief Man of the Year Award along with the Yankees'Mariano Rivera...given the Joseph W. Haynes Award as the Twins Pitcher of the Year, by the Twin Cities Baseball Writers Association. Recorded saves in each of his first 13 save opportunities, March 31-May 16...did not allow a run in first eight appearances (8.0 ip), March 31-April 22...did not allow a run in 10 of 11 appearances, going 0-0, 1.64 (11.0 ip, 2 er) with six saves, April 29-May 25...suffered first blown save, May 27 at Kansas City...suffered second blown save, June 14 at Milwaukee...five straight appearances without allowing a hit from June 17-June 26, including a three-strikeout game on June 20 vs. Arizona...converted 13 straight save opportunitiesfrom June 17-August 1...fourth three-strikeout game on July 12 at Detroit...was 7-for-7 in save opportunities in 11 July games with a 0.82 ERA (11.0 ip, 1 er)...11 consecutive scoreless appearances (11.1 ip) from July 31 to August 21...fifth three-strikeout game August 11 vs. New York (AL)...back-to-back blown saves on August 30 at Oakland and September 3 at Toronto...recorded 200th career save (199th as a Twin), September 24 vs. Chicago (AL)...pitched 2.0 innings for the second time this season and notched his first win on September 25 vs. Chicago (AL), it was his first victory since September 17, 2007 vs. Texas...converted 39 of 45 (87%) save opportunities and raised career totals to 200 of 224 (89%)...held opponents to a .176 batting average with just 13 extra-base hits (five home runs, seven doubles and one triple)...tied with Mariano Rivera for fourth most saves in the American League...his 1.34 ERA ranked first among all MLB closers with at-least 20 saves and his .176 batting-average-against was third lowest behind Joakim Soria's .169 and Rivera's .165. Did not allow a run in six appearances, going 1-0, 0.00 (6.0 ip) with three saves, April 6-25...converted 10 consecutive save opportunities, April 11-June 17...tied career-high six-game win-streak, April19-July 14...did not allow a run in eight of nine appearances, going 2-0, 0.90 (10.0 ip, 1 er), May 7-June 2...season-high five strikeouts, his most since June 29, 2000 at Colorado (5), May 23 vs. Cleveland...pitcheda season high 2.0 innings on four accounts, including three in the month of June...did not allow a run in14 appearances (14.0 ip), June 22-July 28 and allowed just one run from June 22-August 8 (0.45 ERA)...recorded 100th career save (99th with Minnesota), June 24 vs. Chicago (NL)...became fifth pitcher in Twins'history with 100 saves, June 28 vs. Los Angeles (NL)...recorded his 30th save of the season and 117th as a Twin, passing Eddie Guardado for second on the the Twins all-time saves list September 9 vs. Detroit...walked a season-high three batters,September 11 but picked up the save working 1.1 innings...recorded his 35th save September 24 at Baltimore, becoming the ﬁrst pitcher in clubhistory to record 35-or-more saves in three consecutive seasons...first-batters-faced in relief were 17-for-62 (.274)...converted 36 of 38 (95%)save opportunities to up career totals to 124 of 138 (90%)...tied for sixth in league in saves. Did not allow a run in 20 appearances, going 1-0, 0.00 (21.0 ip) with14 saves, April 15-June 4 . . . named American League Co-Player of the Weekfor the week ending May 16, becoming 11th Twins pitcher (first since EricMilton, September 12, 1999) to win the award, going 0-0, 0.00 (4.0 ip) with4 saves, facing the minimum in each appearance . . . converted club record27 consecutive save opportunities, May 8-August 15 . . . did not allow a runin 28 appearances, going 0-0, 0.00 (29.0 ip) with 19 saves, June 9-August 18. . . selected to first career All-Star team, July 14 at Houston . . . did not allowa run in 11 appearances (9.0 ip), August 25-September 16 . . . season-high 4strikeouts and tied season-high 2.0 innings, October 2 vs. Cleveland . . .averaged 11.1 strikeouts per-9-innings . . . first-batters-faced were 11-64 (.172)with 20 strikeouts . . . had .187 batting-average-against with lefthandersbatting .212 (28-132) with 2 homers and righthanders batting .125 (20-125)with one homer . . . converted 44 of 47 (94%) save opportunities to up careertotals to 45 of 52 (87%) . . . was tied for second in league in games finishedand was third in saves . . . established career-highs in saves and strikeouts. May 31, 2017 Syracuse Chiefs released RHP Joe Nathan. April 10, 2017 Washington Nationals signed free agent RHP Joe Nathan to a minor league contract. April 10, 2017 RHP Joe Nathan assigned to Syracuse Chiefs. April 3, 2017 Syracuse Chiefs released RHP Joe Nathan. January 31, 2017 Washington Nationals signed free agent RHP Joe Nathan to a minor league contract and invited him to spring training. January 31, 2017 RHP Joe Nathan assigned to Syracuse Chiefs. November 3, 2016 RHP Joe Nathan elected free agency. October 12, 2016 San Francisco Giants activated RHP Joe Nathan. October 5, 2016 San Francisco Giants reassigned RHP Joe Nathan to the minor leagues. September 3, 2016 San Francisco Giants selected the contract of RHP Joe Nathan from Richmond Flying Squirrels. August 16, 2016 San Francisco Giants signed free agent RHP Joe Nathan to a minor league contract. August 16, 2016 RHP Joe Nathan assigned to Richmond Flying Squirrels. August 8, 2016 Chicago Cubs released RHP Joe Nathan. August 5, 2016 Chicago Cubs designated RHP Joe Nathan for assignment. July 24, 2016 Chicago Cubs activated RHP Joe Nathan from the 60-day disabled list. July 14, 2016 Joe Nathan assigned to Iowa Cubs from Tennessee Smokies. July 14, 2016 Chicago Cubs sent RHP Joe Nathan on a rehab assignment to Iowa Cubs. June 23, 2016 Chicago Cubs sent RHP Joe Nathan on a rehab assignment to Tennessee Smokies. May 17, 2016 Chicago Cubs signed free agent RHP Joe Nathan. 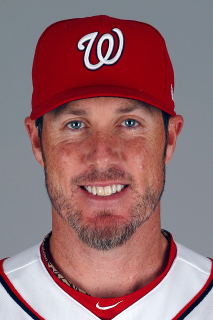 November 3, 2015 RHP Joe Nathan elected free agency. November 2, 2015 Detroit Tigers activated RHP Joe Nathan from the 60-day disabled list. April 22, 2015 Detroit Tigers sent RHP Joe Nathan on a rehab assignment to Toledo Mud Hens. December 4, 2013 Detroit Tigers signed free agent RHP Joe Nathan. November 1, 2013 RHP Joe Nathan elected free agency. November 21, 2011 Texas Rangers signed free agent RHP Joe Nathan. October 30, 2011 RHP Joe Nathan elected free agency. June 24, 2011 Minnesota Twins activated RHP Joe Nathan from the 15-day disabled list. June 18, 2011 sent RHP Joe Nathan on a rehab assignment to Rochester Red Wings. November 3, 2010 Minnesota Twins activated RHP Joe Nathan from the 60-day disabled list. April 15, 2010 Minnesota Twins transferred RHP Joe Nathan from the 15-day disabled list to the 60-day disabled list.